Is it better to rent or buy in Charleston, South Carolina? 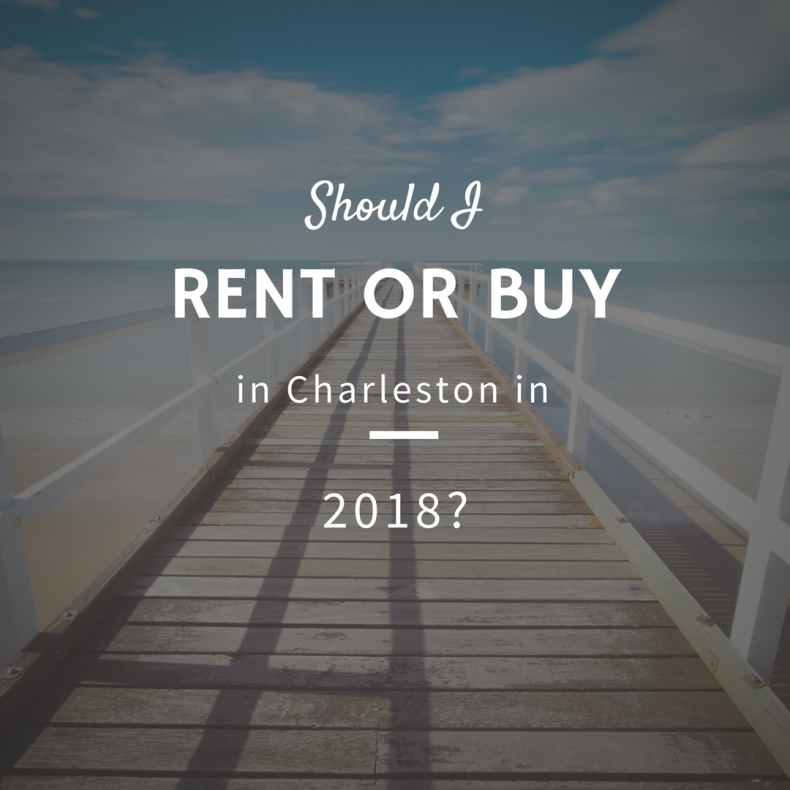 Wondering if it’s better to rent or buy in Charleston? In the last few years, home prices in Charleston, SC have gone up while days on the market and inventory have gone down. That can seem intimidating if you’re thinking about buying a home in or around the Holy City. You may be questioning whether you should just keep renting or whether it’s time to jump in the market before interest rates climb any higher. Do you plan to live in your home for the next three to five years? If not, your house probably won’t appreciate enough to make up for the transaction costs. Do you have a down payment saved, as well as cash for closing costs and inspections? Can you afford a home? Do a quick estimate of your anticipated monthly mortgage payment, then add insurance, property taxes, and repairs or maintenance. If the figure is more than your current rent, you’ll have to decide if it’s worth it (or if you can downsize your dream). If you answered yes to those questions, then buying a home has a lot of benefits. For example, you don’t need permission to paint or remodel, and it can be a good investment. …and they’ll likely keep going up for awhile. If you want to buy a house, now (right now) is the time to do it. …but not in the giant leaps we saw in 2016. …we haven’t seen this happen in Charleston yet. Still, analysts predict this is the year the housing shortage takes a turn in the U.S. as a whole. Time will tell how the national trend affects the tri-county area. We are seeing more new home construction in the area, providing some relief to the shortage. If your lifestyle, finances and long-term plans line up, there are plenty of reasons that 2018 is the right time to buy, build, downsize, or upsize your home.